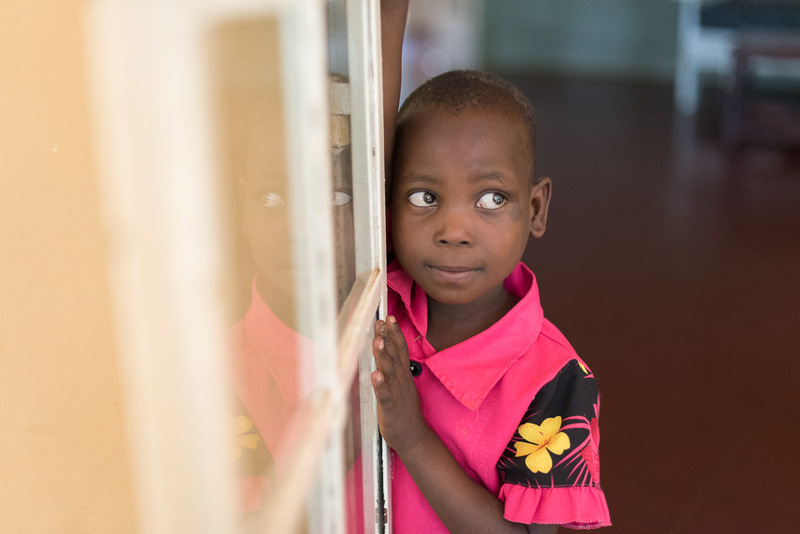 During our time in Uganda, we were all following the story of a young girl named Anna who came to the outreach clinic for a serious case of Jiggers. She was bright, fun, and a star before the camera. All of us fell in love with Anna and welcomed her running-start hugs and contagious laugh. All week long, we got the chance to play and sit with her as she went through another round of Jigger recheck to ensure that all of the pesky parasites had been removed from her little feet. 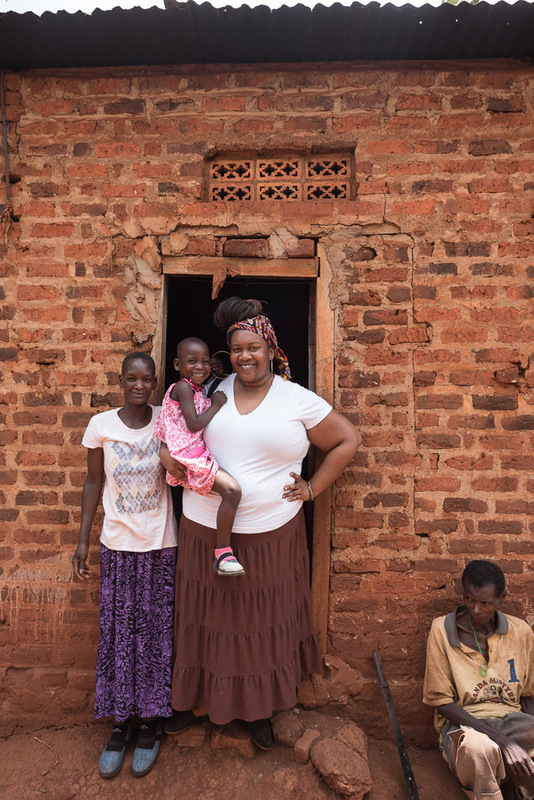 We all knew that the entire week was leading up to what Sole Hope calls “resettlement,” the returning of a person back to their community after they’ve been completely healed of an Jigger infestation. We would journey with Anna, and some other children and adults, back to their remote villages to resettle them back into their homes, their communities, their normative way of life. Anna on the lime green Sole Hope van, preparing to go home. I secretly wondered what the return to community would be like after being gone for a while. What would life be like for Anna, a child we all had grown to love? Would she miss the comforts of twin bunk beds, running water, and electricity? I can’t honestly say, but one thing is for sure: she was happy to be home. 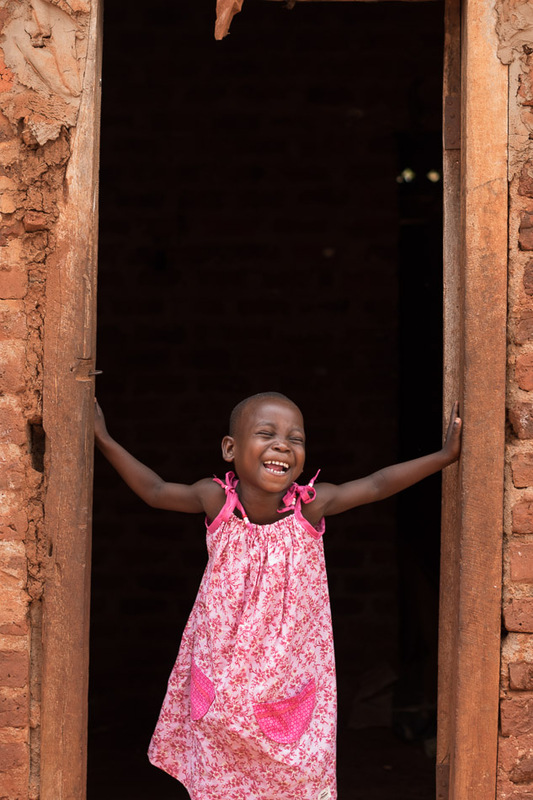 She respectfully kneeled before the village elders and ran into her brick-and-mud built home joyously, like a child who longed for the familiar. One of my friends became overwhelmed with emotion watching Anna return home. I later asked her what was behind the tears. She confessed that she wanted to bring Anna home with her, make a better life for her. She wanted to just take her back home to the States so that she didn’t have to live on a dirt floor or be subjected to such poverty. What it means to be in community seldom has anything to do with personal possessions or “normative” quality of life. It isn’t reliant on the things we (read: Westerners) deem as a what is normal or the kinds of normative forms of proper living that we often impose on others. In fact, while our possessions and higher standards of living may be the “envy” of others all around the world, they often pity our inability to develop and remain in community with one another. Anna may not have all the niceties of life but she does have community. A community that welcomed her. A community that will nurture her. A community that, we pray, will see the star quality she has and create opportunities for her to shine. Watching Anna return home really helped me better understand what it means to be in community and how necessary family is to the growth and maturation of all people. Even if Anna came home with us to live a “better” life, what of her mother and other siblings? What sorrow would have been stirred up as she longed for her mother’s smile and the familiarity of life inside their home? I wrestled with this need to give what we associate with a better life with the kinds of intangible, invaluable gifts that Anna’s life already possesses. It is that wrestling that challenges me to reconsider what it means to be in community — and how the intangible things determine the quality of life, not those things we can readily touch…or buy. Our community is often like that: we go about our day, in the same shared space, but not in shared intention to be with one another. Everyone has their own stuff and their own agenda, paralleling others who too have the same stuff and agenda. The worlds seldom intersect. I guess I envy Anna in that way, the way her community is a shared one. It reminds me that though we came to offer care to her and her family, they had much more to teach us about what it means to be in community with one another. This is not to imply that we should leave those who live in poverty to relish in the beauty of the intangibles, but it is to say that we have much to learn from those who only have a little. 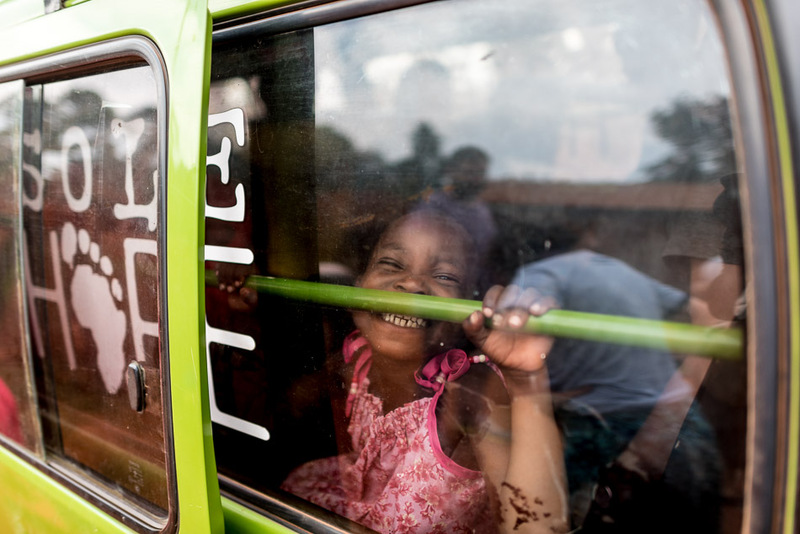 To learn more about children like Anna and Sole Hope, visit http://www.solehope.org!